British Airways has a number of planes in retro livery. These aircraft have been repainted to celebrate the airline’s centenary, and to highlight the story of how British Airways came to be. On Tuesday, April 9th, 2019, all four heritage livery aircraft were brought together in one place. This made for one incredible photo shoot! The four heritage liveries are in BEA (A319), BOAC (747), Negus (747), and Landor (747). To show off their pride and history, British Airways has flown these heritage livery aircraft far and wide. Heritage 747s have flown to destinations including New York, Cape Town, Lagos, and Dubai. Meanwhile, the BEA A319 has flown to cities within the United Kingdom, including Manchester and Edinburgh. In addition, the BEA A319 has flown to European destinations such as Milan, Zurich, and Amsterdam. 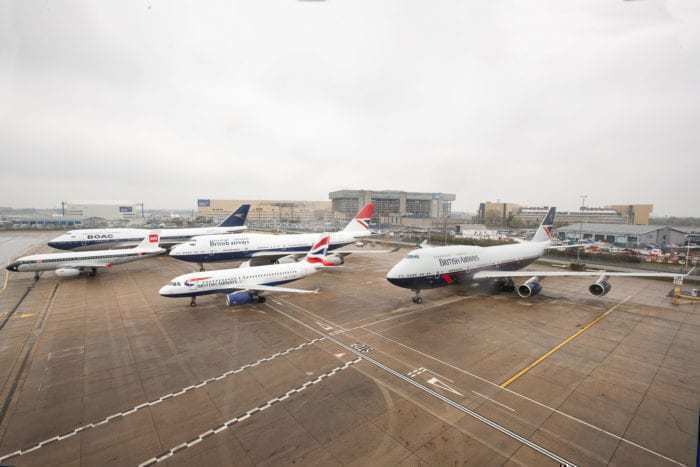 In a span of fewer than two months, British Airways has flown 50,000 passengers total across the four aircraft. This is an impressive number and highlights the extensive operations of British Airways. 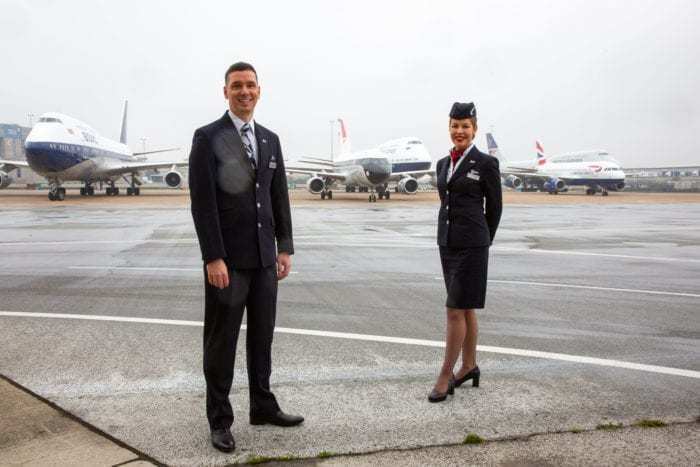 British Airways crewmembers stand in front of the aircraft for a photo shoot. According to a statement by British Airways, the photo shoot took over two hours. This included time spent carefully lining up the aircraft, arranging crew, and ensuring weather would not be of a significant hindrance. In addition to the four heritage liveried aircraft, British Airways included the current Chatham Dockyard livery, which is its current design. While British Airways celebrates its past, they also intend to use the centenary to look forward to the future of flying. 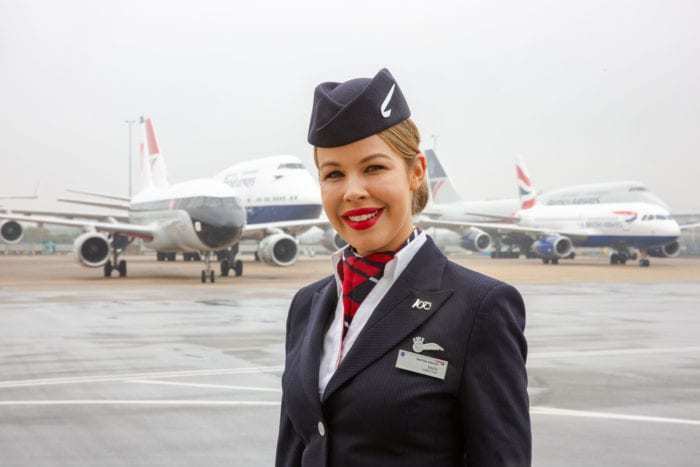 Some of the innovations and debates British Airways is looking to be a part of includes the use of sustainable fuels, future careers in advanced aviation, and enhancing customer experiences. As British Airways debuts their new Club Suite this year, we’ll be excited to see them fly well into the future. Are these liveries special to you? Let us know in the comments!